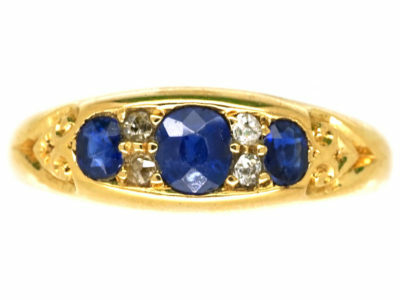 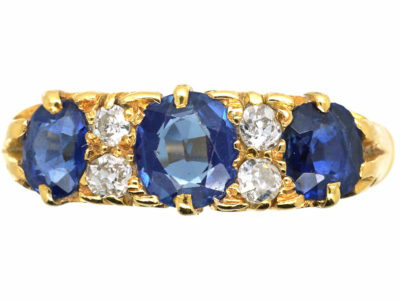 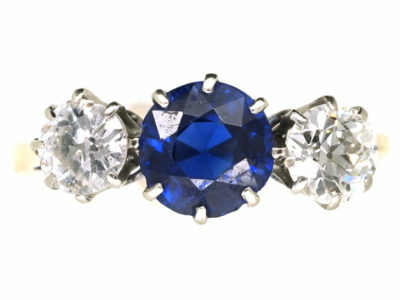 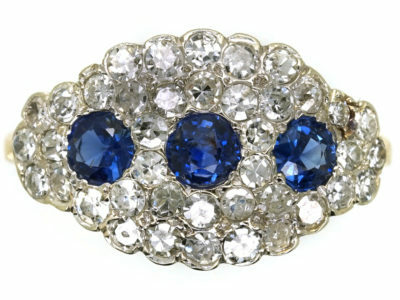 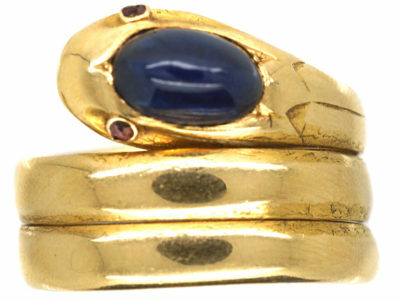 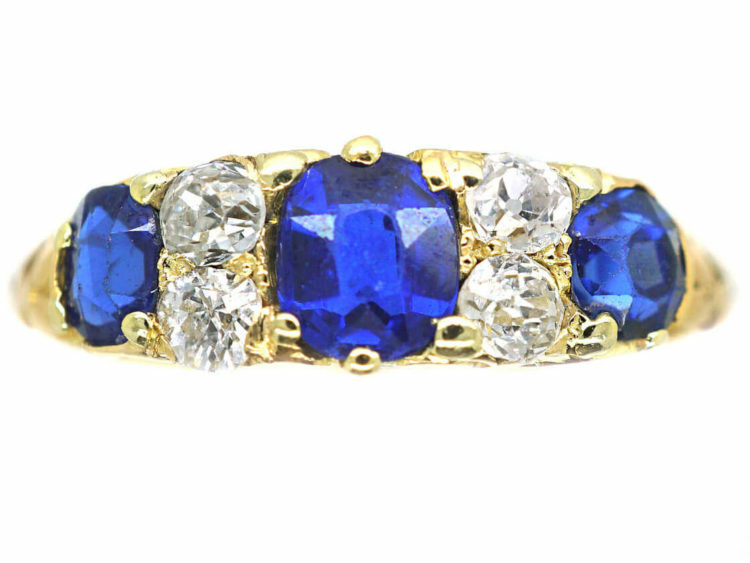 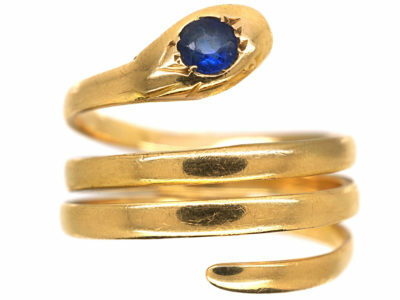 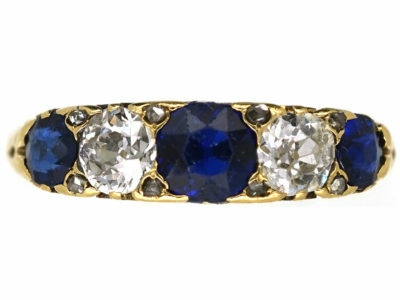 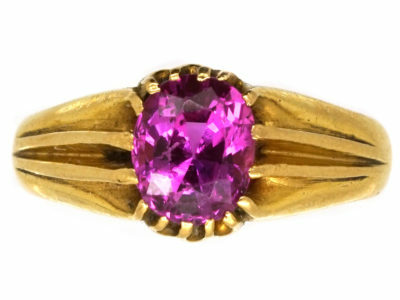 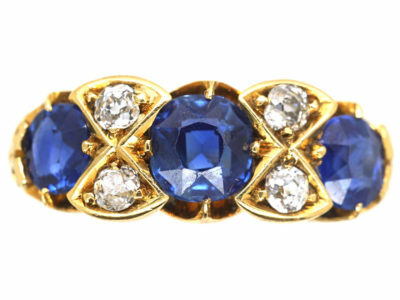 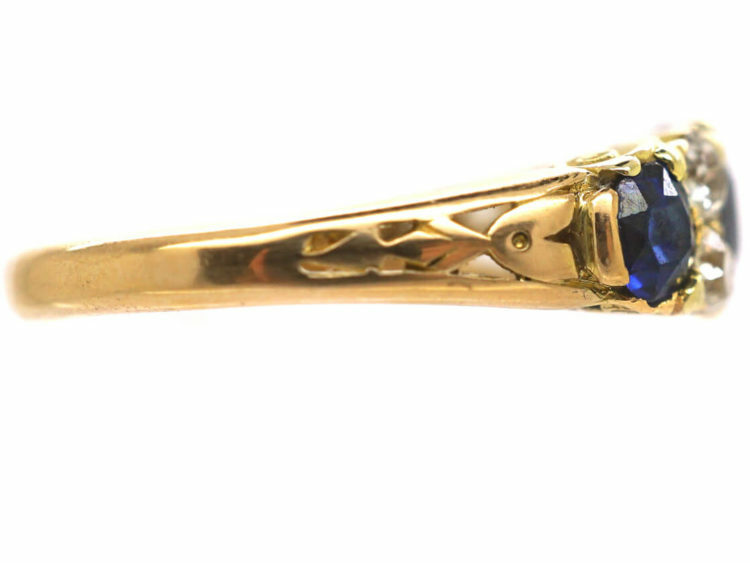 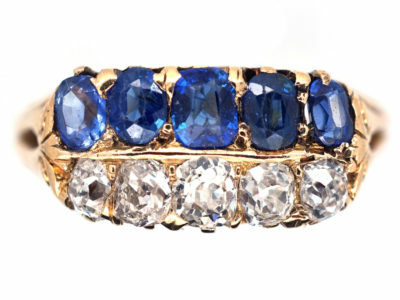 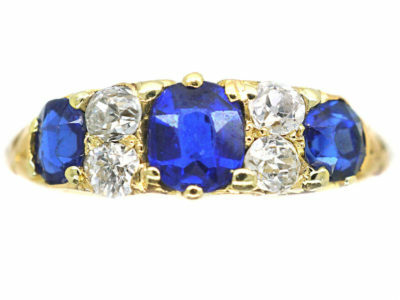 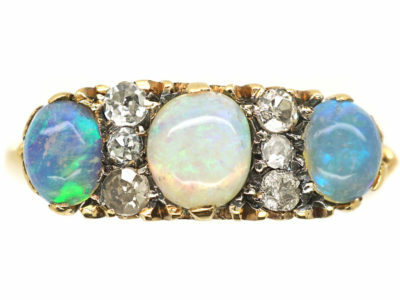 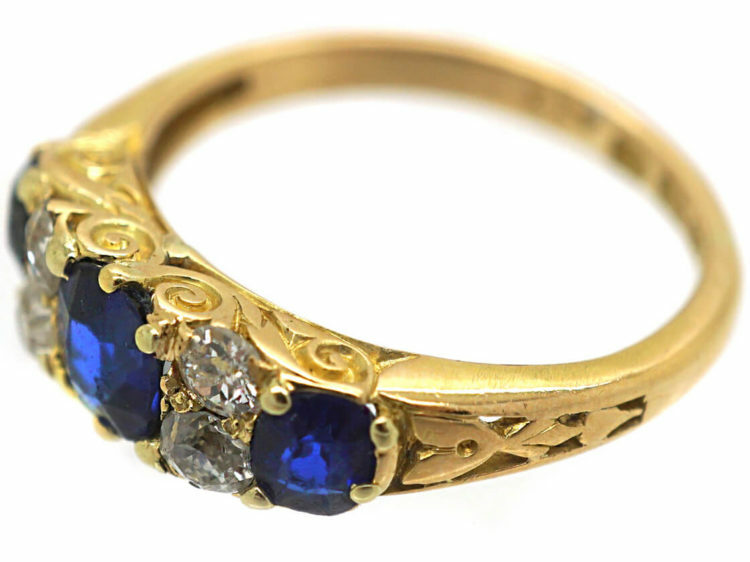 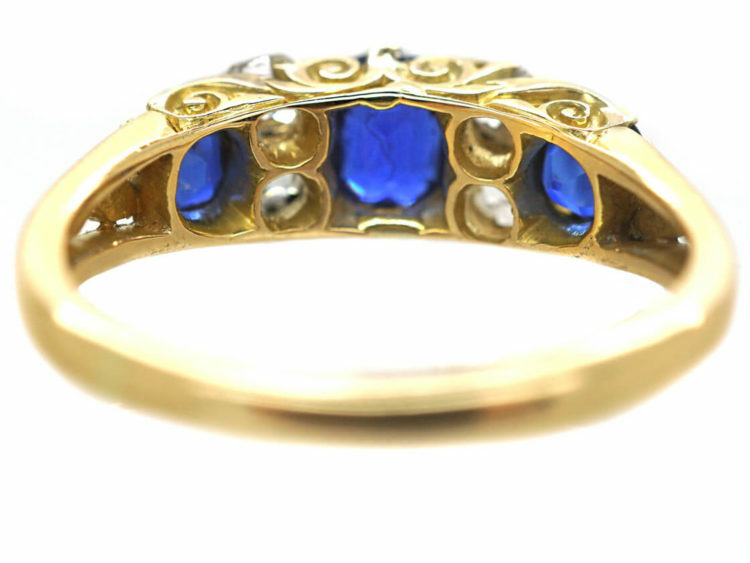 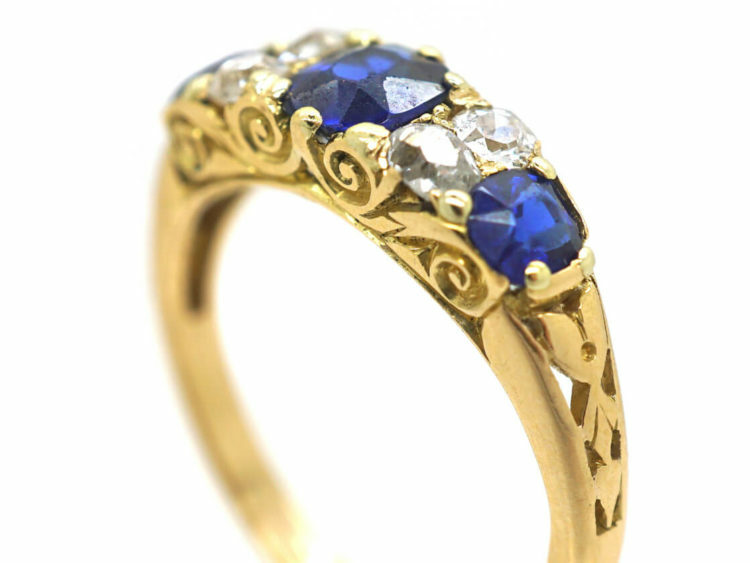 A stunning 18ct gold Edwardian ring set with three well matched velvet blue sapphires, most likely of Burma origin, with two old mine cut diamonds between each one. 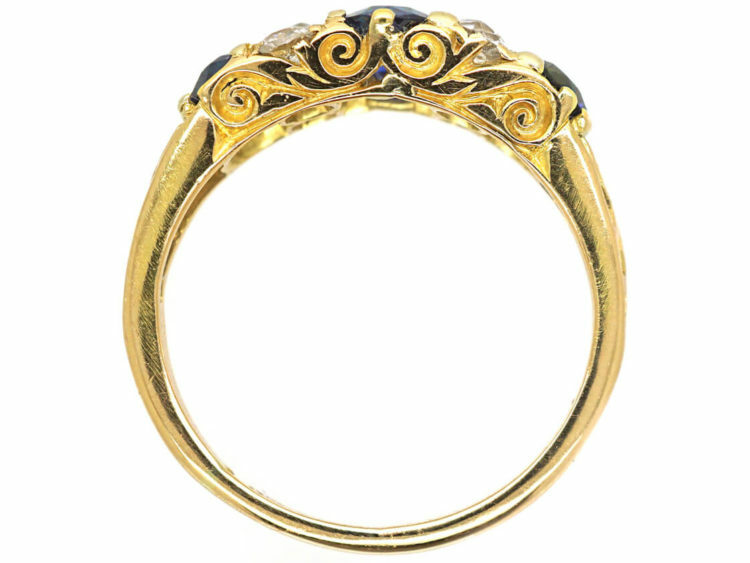 The shank is called a carved half hoop because of the decoration on the sides, but what is unusual about this ring is the pierced shoulder work. 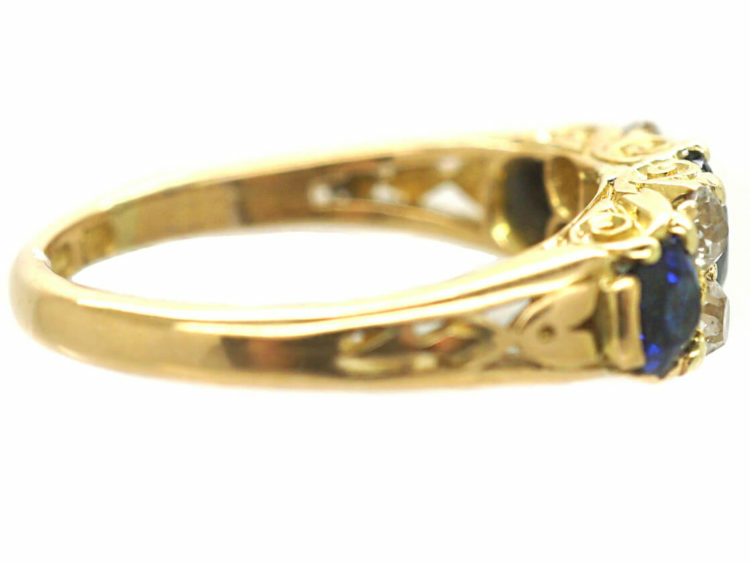 It was assayed in Birmingham in 1911. 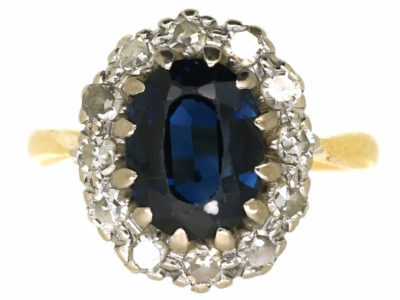 It would make an ideal engagement ring.